The K 5 became famous for its actions in Anzio Italy during the American landings. 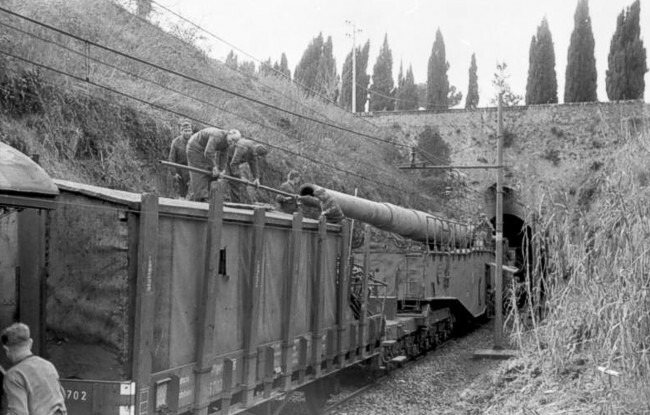 Two guns took shelter in a railway tunnel near Ciampino. 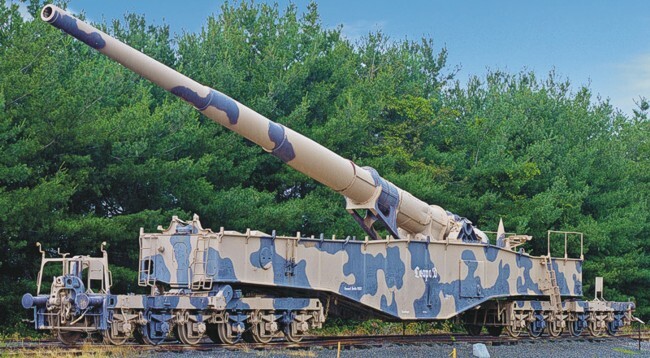 The American army captured the gun called "Leopold", named it "Anzio Annie" and placed it in the United States Army Ordnance Museum in Fort Lee (Petersburg, Virginia). The second Anzio gun had the German name "Robert". 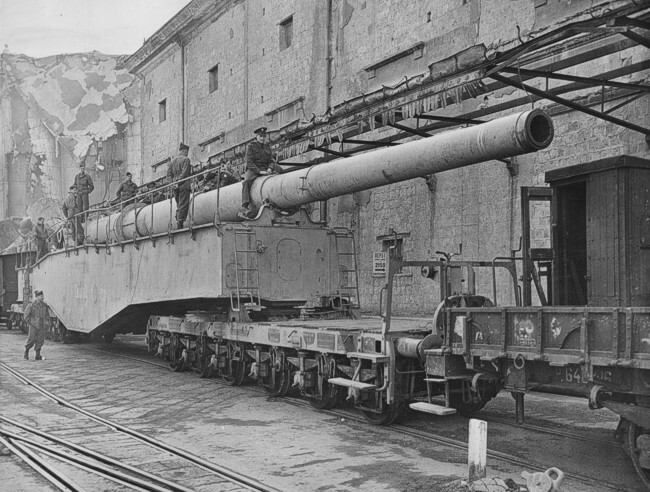 Before the placement at Anzio both guns were deployed at the siege of Sebastopol on the Crimea. In total 17 K 5 guns were build. Cleaning the barrel of one of the Anzio guns just outside the tunnel. Leopold is here under American control but still at Anzio.